Culp's Specialties is located in Shreveport, Louisiana, at the Downtown (DTN) Airport. It is there Steve and his employees are hard at work on several projects including two Culp's Specials, eight Sopwith Pups, and a Monocoupe of Steve's own design. 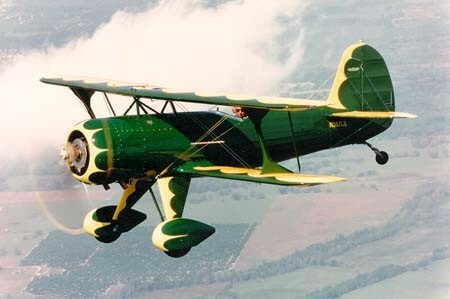 In addition to building Specials, Sopwiths, and Monocoupes, Steve flies them! His first performance airplane was Special Number One, but while working on another "personal" Special, he is flying a YAK-50 with an intriguing history. Steve has earned his ICAS ground waiver and performs in airshows all over the south and southwest.